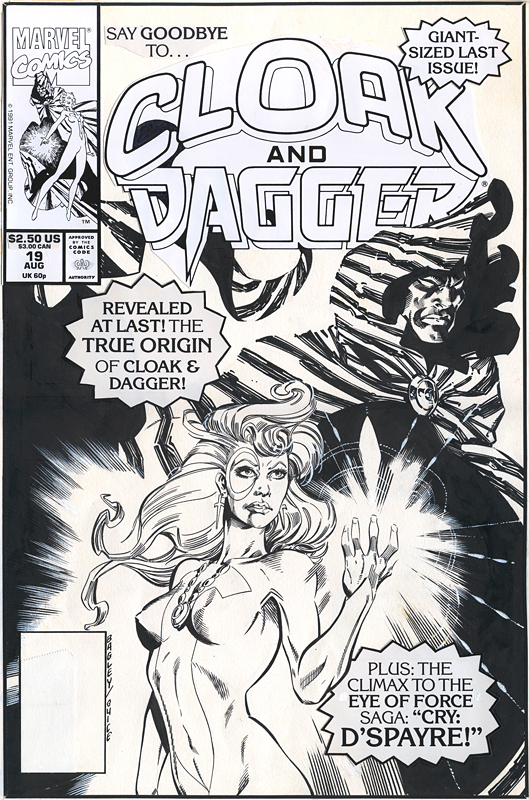 Description: CLOAK AND DAGGER #19 cover. The cover for the LAST issue of the LAST solo Cloak & Dagger series in over 18 years ! "Say goodbye to Cloak and Dagger" tagline was more fitting than intended. This special little gem was pencilled by Mark Bagley only one month before he started his star-making ongoing run on Amazing Spider-Man ! To make everything even sweeter, the piece was inked by none other than the uber-talented Jackson "Butch" Guice.